Greg & Roy are going to start a new video series of video critiques, hopefully we can get it rolling and keep it that way! 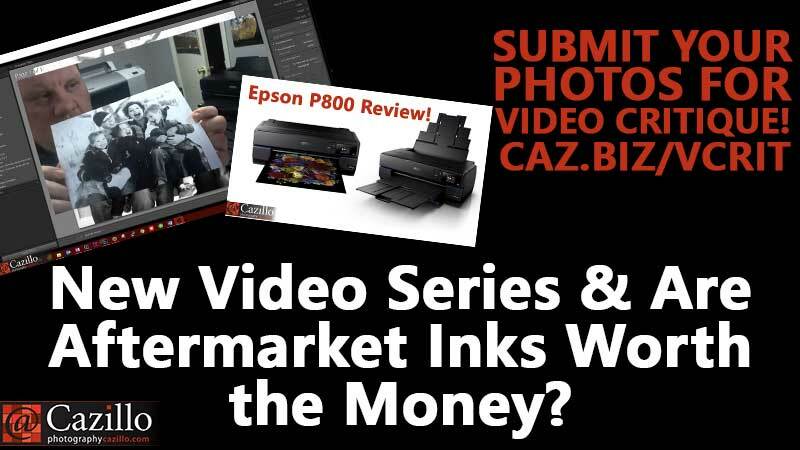 Greg posted reviews of the Epson P800 printer this week and also a video about how to print from Lightroom to your inkjet photo printer. #Cazillion questions today were about aftermarket inks & continuous ink systems being worth the money and choosing the right paper cutter for photographs. Keep shooting!